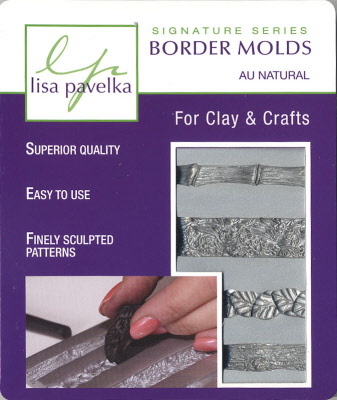 Border Moulds are designed for use with polymer clay and many other crafting materials. Click on to see close ups of the impressions. Bamboo, Leaf, Bark and Flower. 4 distinctive repeating designs each 11cm long. Extra deep and finely detailed with high relief patterns.